Buy our Premium Add-on Bundle and Save! Buy the bundle now and you'll get all existing and new premium add-ons we release for an entire year! Need more than a 25 site license? See our bulk pricing. Prefer to purchase add-ons à la carte? Add week and day views and quickly switch between them. Display color-coded events. Show event titles and start times directly. Display private and public Google Calendars. Highlight events with colors. Display attendee names, avatars and RSVP status. 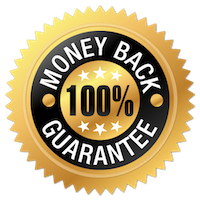 Your purchase is backed by our 100% No-Risk 30-Day Money Back Guarantee. If for any reason you are not happy with our product or service, simply let us know within 30 days of your purchase and we'll refund 100% of your money. No questions asked. We also guarantee that now is the best time to buy. If we do offer a lower price within 90 days of your purchase, let us know and we'll refund you the difference. There's really no point in waiting. Do I get plugin and add-on updates? Yes! Premium add-ons require a valid license key for automatic updates. Simple Calendar itself and any free add-ons provide updates for free through wordpress.org. All update notifications (paid and free) should appear in your sites’ dashboards. Yes! We offer email support to all premium add-on licensed customers, which includes support for licensed add-ons and Simple Calendar itself. If you can’t find the answer to your question in our support documentation, you can send us a support request. We believe customer support is key and we’ll do our very best to help resolve your issue as quickly as possible. We aim to answer all support requests within a 24-hour period during regular business hours. Our hours are Monday through Friday, 9:00am to 5:00pm EST (eastern standard time), excluding recognized U.S. holidays. Note that free support is provided for our free plugins through the wordpress.org forums, but there may be a bit of a delay from our team there as priority support is given to our licensed customers. Your license keys are valid for one year from the purchase date. You need an active license key for continued access to automatic updates and support. When you renew your license keys you’ll receive a huge 30% discount off the current prices! Where can I find my license keys and control my site activations? Login to your account on this site to view your orders, downloads, licenses and site activations. Yes, you can upgrade for the difference in price between the two licenses. Open a support ticket and let us know you'd like to upgrade. What counts as a “site”? Can I use Simple Calendar on client sites? A site is any URL (even a subdomain) that you install WordPress on. If you’re building client sites, you can purchase a multiple site license OR purchase an appropriate license for each client. Development and staging sites do not count. Yes we do! We stand behind the quality of our product and will refund 100% of your money within 30 days of purchase if you are unhappy with the plugin. Will Simple Calendar work on WordPress.com hosted sites? No. The WordPress.com platform does not allow any 3rd party plugins. Yes! Contact us here for any other pre-sale or general questions.